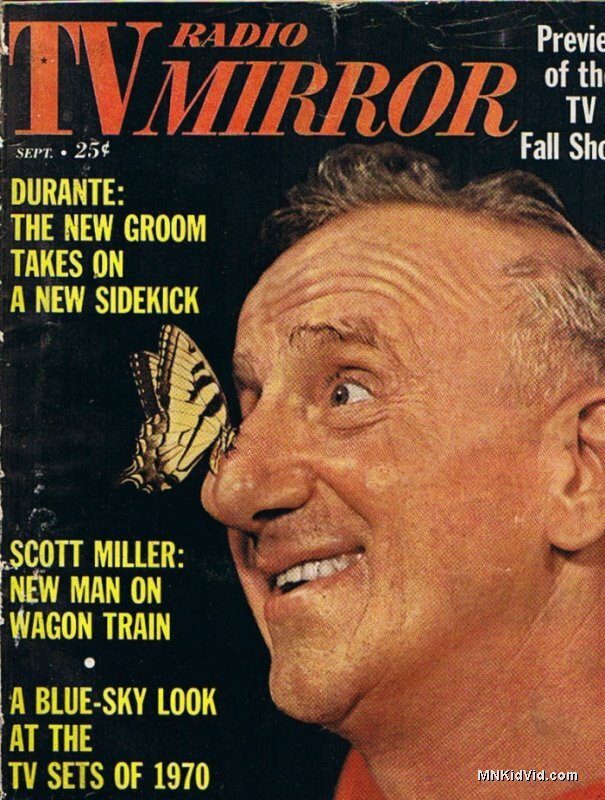 Radio TV Mirror was a national magazine published by the McFadden Group that had local inserts specific to the region where the magazine was sold. 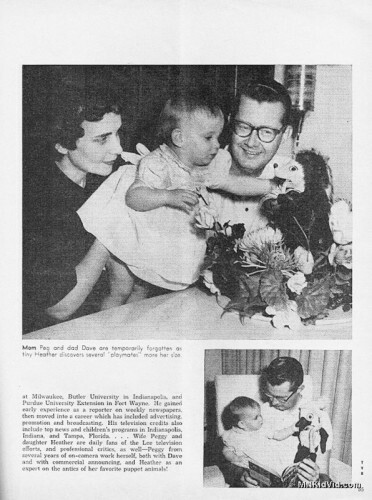 Broadcasters from Minneapolis were featured regularly in magazines distributed throughout the Midwest. Popeye ‘N’ Pete had debuted on WTCN in April 1961 and as documented in this article, it quickly grew in popularity. 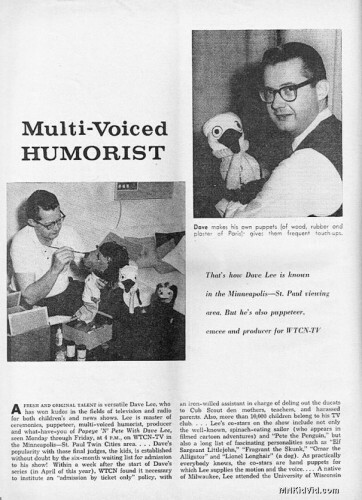 Previously, Dave Lee had hosted news and children’s programs on KMSP, channel 9. In 1960, he was offered a job in St. Petersburg, Florida and spent a year anchoring news in that market. After that brief stint, Dave was back in Minneapolis and was offered a show on channel 11. Popeye ‘N’ Pete (and later The Dave Lee Show) would run until 1970. Dave’s popularity with those final judges, the kids, is established without doubt by the six-month waiting list for admission to his show… more than 10,000 children belong to his TV club. Lee’s co-stars on the show include not only the well-known, spinich-eating sailor…. and Pete the Penguin, but also a long list of fascinating personalities such as Elf Sargeant Littlejohn, Fragrant the Skunk, Omar the Alligator and Lionel Longhair ( a dog)…. A native of Milwaukee, Lee attended the University of Wisconsin at Milwaukee, Butler University in Indianapolis and Purdue University Extension in Fort Wayne.